Torpids week has come and gone, and I’m already feeling its absence. My first racing experience was a lot of fun, and helped show me that sport is sport …and while rowing and rhythmic gymnastics have their first letter in common, there are many more similarities than that! Wednesday meant our first real exposure to bumps racing. For the majority of our crew, who have only been rowing for a few months we knew there was going to be a lot of excitement and things to take in. The whole set up of a bumps race is overwhelming – cannons being shot off 5 minutes, 1 minutes and then at GO. A crew you’re chasing and someone chasing you! Our biggest challenge was to keep our head in the boat and stick to the technique we’d been working so hard to improve (after our slightly disastrous time trial where our coach wanted to disown us). We were second in the line up and chasing a crew (Green Templeton) that was 15 seconds faster in rowing on (or Friday’s time trial). As a result we ended up rowing over – which means racing the whole course and not bumping nor getting bumped. Pretty good for our first go. As the top boat in our division we became the sandwich boat which means you race as the bottom boat in the division up. Using our first bump as an opportunity to get the kinks out we were eager to catch the crew in front of us which was Green Templeton. We knew that they were bigger and faster off the line, but we also knew we were able to gain ground over the course and eager to hunt them down and “make them hurt”. With a stronger start we were very close to catching them but they managed to hold off. They ended up bumping the crew in front of them (Exeter) and in doing so set us up well to bump Exeter too! In bumps racing the crew you bump must continue to row (while a crew that bumps stops rowing). Another race – more learning and a day with two bumps… W2 was feeling pretty good! With yesterday’s final race we had moved up into Division 4. We were determined to stay here as it is a fixed division and means that Oriel W2 won’t have to qualify for Torpids next year! We were chasing Green Templeton again and knew the job we had to do. It was another hard push to try and take them. Our Coxswain Emily kept asking for a hard 10, which was quickly followed by another hard 5 and another hard 10… and I kept wondering where they were and how much more we had to do to get them. In the end it was another situation like Thursday – they were able to stay far enough away and catch the crew in front (this time LMH), and then we were able to bump LMH. Our final day, and we were eager to make it our 4th bump in a row. We were feeling confident that we had improved as each race went on and we were committed to giving that extra bit to close the gap. We had one of our strongest starts and the boat was feeling good (except for the whole pushing so hard you want to die bit, but that’s a given right?!). Then about half way through disaster struck… the oar lock on Seat 4 came open, and it was bent so when she tried to close it, it wouldn’t lock. Now with only seven blades in the water we were not only trying to hunt down a strong crew in front of us but trying to stave off being caught by LMH who could see exactly what was happening… On the side people could hear their Coxswain asking for a push to catch us, but even down a rower we were maintaining the distance. In bumps racing, there’s often a hard push at the beginning because you know if you give it then the race can end quickly. Push for the bump and you may barely row half the course (or less! like our M2 crew did most days!). BUT, pushing hard early and not getting the bump means rowing the entire course when you’re dead. Combine that with the confusion and frustration of an equipment malfunction meant a less than awesome last row. It was definitely not how we wanted to finish. It’s like having an incredible meal and then dessert is rotten fruit. 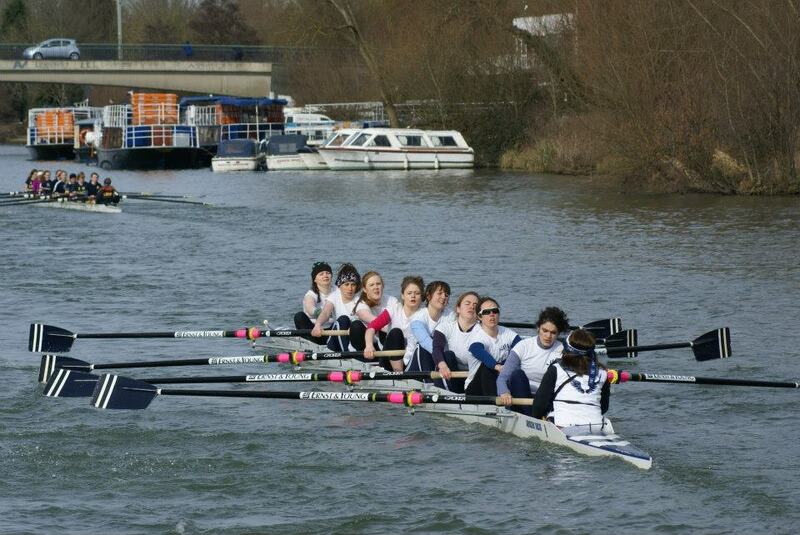 But honestly I don’t know if Torpids could have gone better for us. Our coach took a crew of girls (6 of 8 who hadn’t rowed before), pushed them hard these last few months, and then magically in the span of a week turned them into a team. We hadn’t rowed together before the time trial and somehow came together with a hungry spirit and determined attitude. And this is just the beginning. Summer Eights. Oriel W2 is coming for you! And this is why I love sport. It’s fun yes, but it teaches you so much. When I was a gymnast I was never about ‘beating someone else’… in gymnastics it’s tough to actually do that unless you mean literally taking my club and beating someone – and hey, I’m not about physical violence! It was always about me being perfect. Me being the best version of me. And I thought that was different in ‘racing sports’. But my first racing experience showed me that even in a race, when you’re trying to be faster than someone, you really do have to row your own race. Especially in rowing when a crew may be behind you and you have NO CLUE where they are. Especially in rowing when a crew may be gaining on you – but if you start flailing around trying to keep them at bay you’ll likely lose it faster than you think. The other thing I learned is that sport is like life. And sometimes things happen in life – that you can’t predict, explain, prepare for. And what do you do then? Learn. Grow. Get tougher. Get hungrier. And learn some more. No it’s not fair. No it’s not necessarily happy or fun to have those things happen, but are they a valuable part of life – yes. Definitely. Will they make you stronger. 100% (if you let them). The final thing I learned during this regatta is that my husband is certifiably insane. Part way through our first race I thought “oh geez Malcolm and his teammates have to do this for 18 minutes”. And so hats off to you crazy boat race rowers. 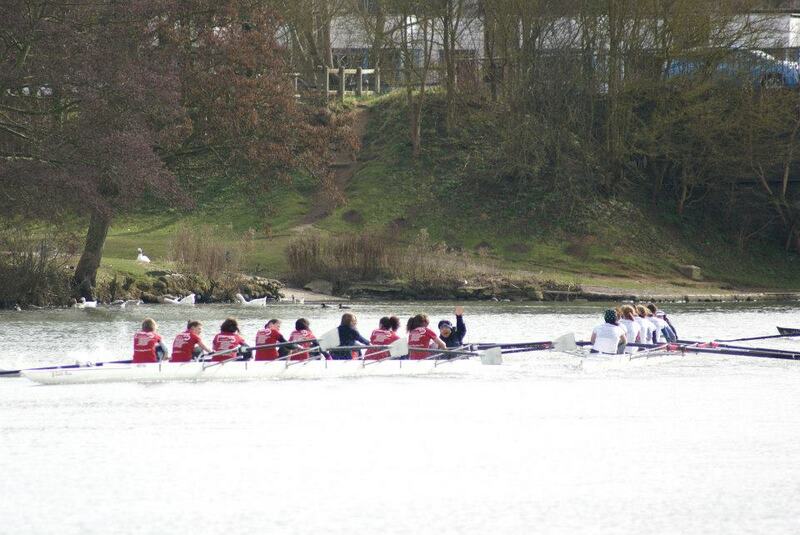 I will never race on the tideway, but my experience on the Isis was one I’ll never forget. I never imagined I’d be a rower, and I don’t even think I can call myself that. But I am a proud teammate, eager training partner, motivational speaker and of course team mom! And I never thought I’d say this but… when are we erging next?!! 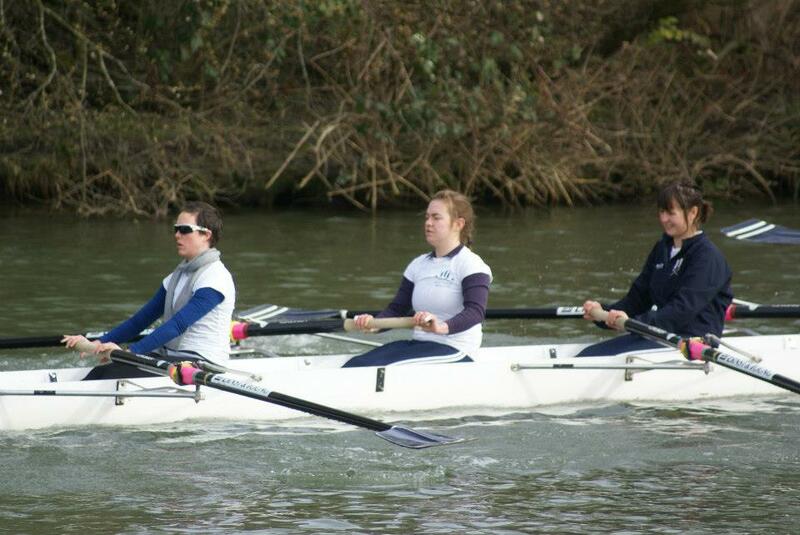 This entry was posted in Rowing and tagged Oxford, Rowing, Torpids by erika. Bookmark the permalink.